Strathspey Snug in Grantown-on-Spey, Moray sleeps 4 people. Strathspey Snug in Grantown-on-Spey has a quiet setting just off the high street in Grantown-on-Spey; Strathspey Snug makes a super base for exploring one of the most scenic and popular holiday destinations in Scotland. 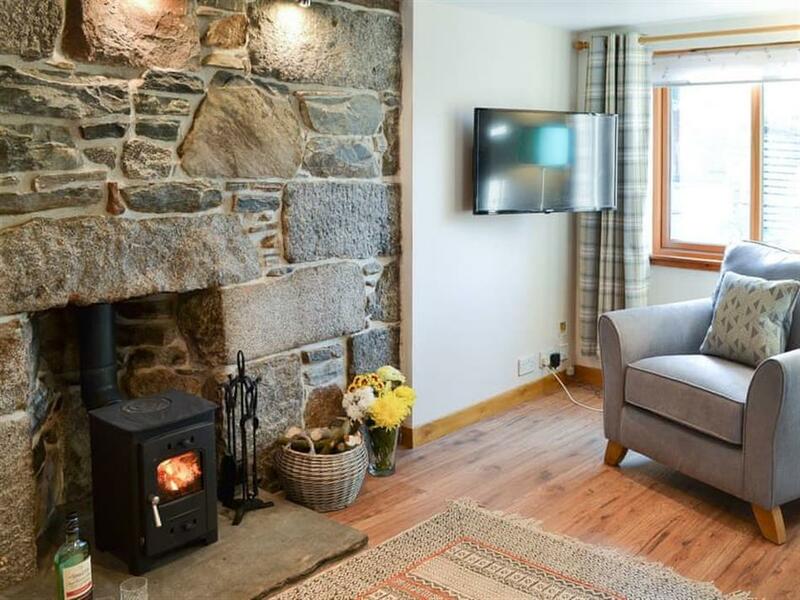 This cute cottage has been lovingly refurbished and equipped to ensure as comfortable and relaxing holiday as possible with your every need taken care of. Grantown-on-Spey is as its name suggests, set by the River Spey, one of Scotlands foremost salmon rivers, with the backdrop of the stunning Cairngorm Mountains, is just a lovely destination for a family holiday and within easy distance of some of the most popular attractions and activities, of the Cairngorms National Park. Within 15 miles is the bustling and popular town of Aviemore which is situated in the heart of the park and at the head of the Speyside Way. The area boasts a super range of shops, restaurants and bars along the way, with a very wide range of outdoor activities as well, including skiing and snowboarding, mountain and quad biking, climbing and hill walking and a variety of water-sports on Loch Insh, Loch Morlich and the River Spey - just a few of the myriad of activities available. Nearby Loch Garten is an RSPB Nature Reserve and is very popular with avid birdwatchers as ospreys nest in this part of the park. Take a trip on the Cairngorm Mountain Railway or visit the Cairngorm Reindeer Centre, the Highland Wildlife Park at nearby Kingussie or the Landmark Forest Adventure Park in Carrbridge, which are all within easy reach. Visit the lovely Spey Valley Golf Course and the Dalfaber Resort with its wonderful array of leisure activities. Take a trip to the beautiful West Coast and the Isle of Skye, or a day trip to the Orkney Islands is well worth the effort. Visit the Moray Coastline, peppered with little fishing villages and beautiful beaches – recently voted in the top 20 best coastline destinations in the world! A super base for exploring the many delights this area has to offer and so much to see and do for all ages. This area is exceptionally popular destination for the outdoor enthusiast and for the less energetic, sit back, relax and unwind in this peaceful part of the Highlands. The beach is 23 miles from Strathspey Snug in Grantown-on-Spey. With the shop, pub and restaurant all 10 yards from Strathspey Snug. Living room: With multi-fuel burner and 40 Freeview TV with Amazon Fire TV stick. Kitchen/dining room: With electric oven, electric hob, microwave and fridge. Electric central heating, electricity, bed linen, towels and Wi-Fi included. Initial fuel for multi-fuel burner included, remainder at £5 per basket (honest box). Gravelled area with decking and garden furniture. Bike store. Private parking for 2 cars. No smoking. Holidays at Strathspey Snug run from Saturday to Saturday. Pets allowed at Strathspey Snug. For a better idea of where Strathspey Snug is, you can see Strathspey Snug on the map below. Strathspey Snug is in Morayshire; should you be on the lookout for a special offer, you can find all the special offers in Morayshire. It's always worth checking to see what is on offer at the moment. 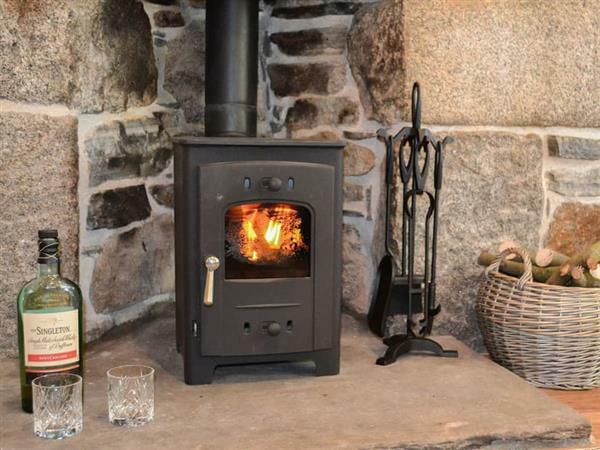 Do you want to holiday near Strathspey Snug (UK5967), you can see other cottages within 25 miles of Strathspey Snug; have a look to find your perfect holiday location.